Wow wow wow is all I can say about our salesman Don as well as installers Ivan, Chad and Diego. Very very professional. Did the work quickly and efficiently. Cleaned up the entire site and went over all the details of operation before leaving. I will never use any other company for A/C if I move again and will recommend them to anyone and everyone. 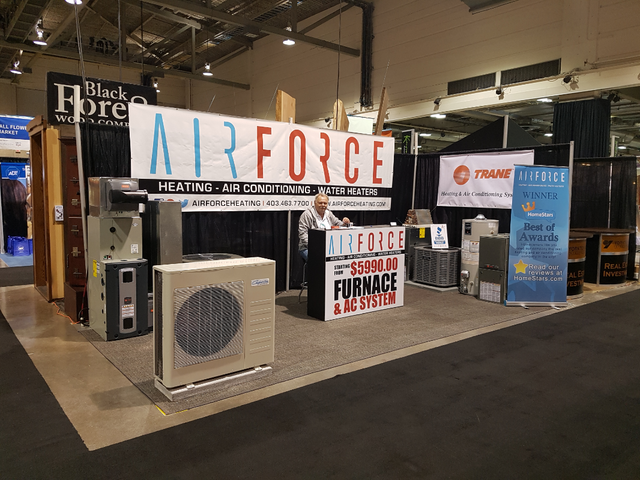 Thank you for choosing Air Force Heating, as your Calgary Air conditioning contractor! After suffering through several forest fire smoke-filled Calgary summers in a sweltering hot house with closed windows, I figured enough is enough. So I did my research and gave Air Force a call. Air Force's Don came over and was thorough in gathering data to calculate the proper size AC unit for my house. He provided important information and answered my many questions. The quote I got was detailed and competitive, and I decided to go ahead and book the install. Ivan, Chad and Diego arrived punctually and did a very neat and professional job getting everything installed. The entire Air Force crew has been a pleasure to work with and my family and I are looking forward to having a cool house this summer! Thanks guys! Thank you so much for leaving such a great review. !!! 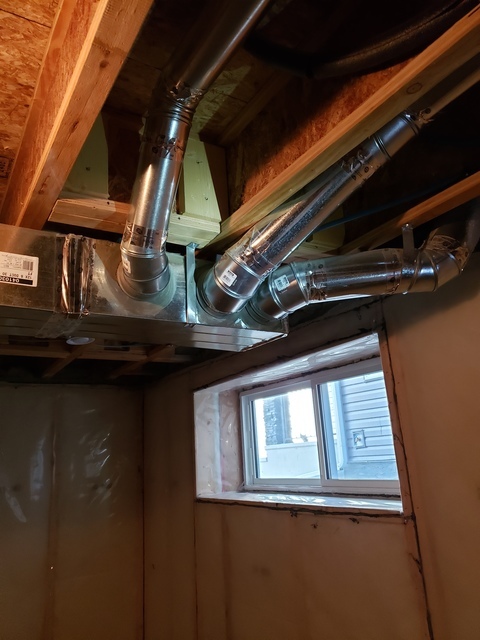 We had AC installed and some rerouting of ductwork completed by Chad and Troy. We will update this review when the AC is up and running (we had it installed during the winter to take advantage of an off season incentive). Chad and Troy were polite, punctual, and hard working. They truly did outstanding work in rerouting an unsightly duct that ran down the center of the future basement bedroom and awkwardly branched off (the builder left it a mess- see attached photo). They worked long hours for several days to rectify the duct by making a 90 degree turn and cleaning up the branch placement. We will now be able to position most of the ductwork behind a future closet. We are extremely happy with the end result. 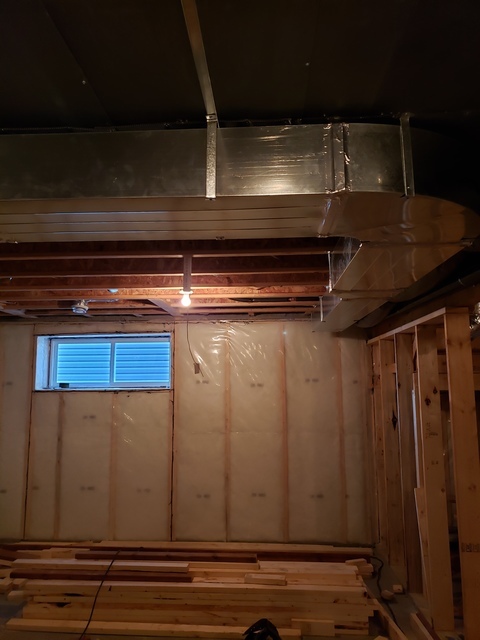 The ductwork looks like it was done by perfectionists and will make a huge difference in the future basement bedroom (no need for a lowered ceiling or large awkward bulkhead). Thank you guys for vastly improving the space for a very reasonable price! Thank you for taking your time to write a review!!!!! From Air Force Heating team!! We recently had Air Force in for a new a/c install. We had met with multiple companies before making a decision and we're happy we chose this company. Everyone we dealt with from the initial quote to the install were great. They made everything easy for us to understand which certainly was not the case with all the companies we met with. The guys even helped fixed a few minor non A/C related issues we had with the HVAC in our house which we really appreciated, and they happily explained everything they were doing along the way. The wild range of quotes we received from the various companies left us feeling quite uneasy in pulling the trigger on this, but the team from Air Force really did a great job with both the install itself and putting any concerns we had to rest with a great warranty, exceptional service and very professional team. Thank you for your kind words and a 10 out of 10 review . Fantastic client focus, high quality products, clean and efficient install, thorough explanation of warranties and how to care for the unit... You will get all that you want and then some from this company. They are focused on what's best for your home and budget and are extremely diligent in providing the best options for and information about your purchase. Thanks so much! Customer satisfaction is very important to us at Air Force Heating and we will do anything to get the job done in a well profession manner.! Thank you for 10 out of 10 review! From all of us at Air Force Heating! 10 STAR****Excellent customer service from Don, Ivan, Victor and Chad! 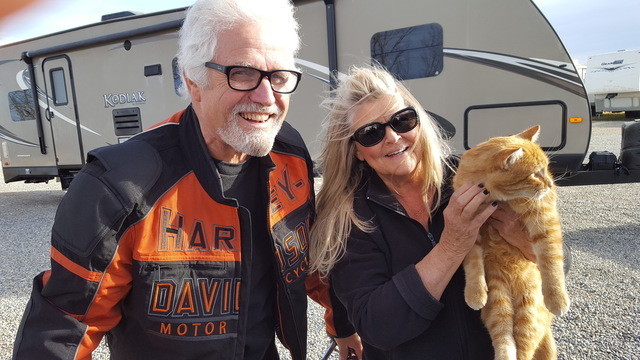 Don was extremely helpful and provided a detailed and reasonable quote. He was prompt in answering all my questions whether by phone, email or text. The install completed by Ivan, Victor and Chad was well done. Attention to detail and explained procedures well. They are very experienced, hard working, conscientious and only took a short break. Clean up was well done! Hats off to an excellent team. You just made our day!. I would definitely recommend Air Force Heating to all my friends, co-worked and family. Thank you for your bussines and a 10 out of 10 review!!! 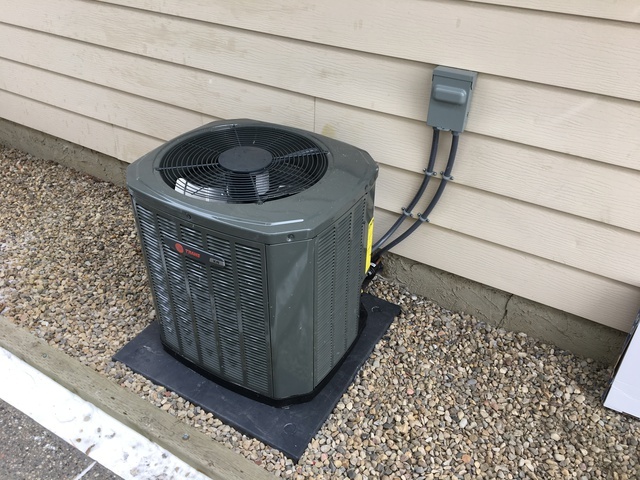 AC Unit Installed: Professional Service & a Great Price!! Don came in and gave his quote, telling us exactly the size of AC unit we needed for the size of our house including quantity of windows. Once AirForce was chosen to do the work, a time was arranged. The guys showed up on time and completed the work. They were very professional and answered any questions we had.they walked us through the system and how it operates. The quality of the work looks great and we can't wait to cool our house this summer! If we have any issues, I know that Don and the rest of the AirForce team will get it sorted no problem! I would recommend Don and the AirForce team to do any HVAC work in your home. We are VERY satisfied!! Thank you From Air Force Heating team! Airforce didn't deliver the first estimate for A/C in my bungalow, but they delivered the best estimate. 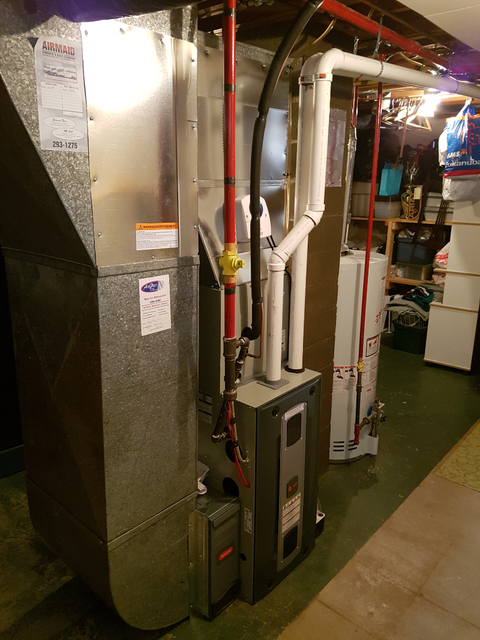 Don was thorough in his estimate and found savings that other HVAC companies did not - eliminating the need for a sub-panel and saving me $700. The installation occurred just two days after the estimate, and the job was done satisfactorily. Can't wait for summer to try it out. Thank you for taking your time to write a review! We truly appreciate your business!! 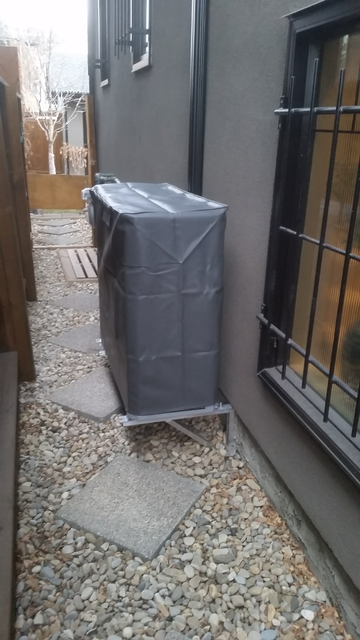 We had AC install ahead of cooling season(06APR2018), logistics in my home were tough. For our initial diagnostics for our home, Don whom provided all the answers to our questions prior to purchase and had a wealth of information about all our different options, he was just an absolute pleasure to deal with. For our install, Ivan and Vitali worked tirelessly until the job was done right, they worked in -22 WC weather to install my unit so I am all ready to rock for summer (It can’t come fast enough!). Do yourself justice and call these guys in, they will take good care of you! They even noticed my furnace(which was not even what I called them for) was making some strange noise. As a courtesy they serviced my furnace free of charge! I am amazed and relieved there are still honest goodwilled hardworking companies out there. Airforce heating and air conditioning is at the top of that list. Don’t think twice, call these guys for all your heating/cooling needs. I hope you enjoy your air conditioner for years to come and thank you for a review. Small little things can sure go a long way. 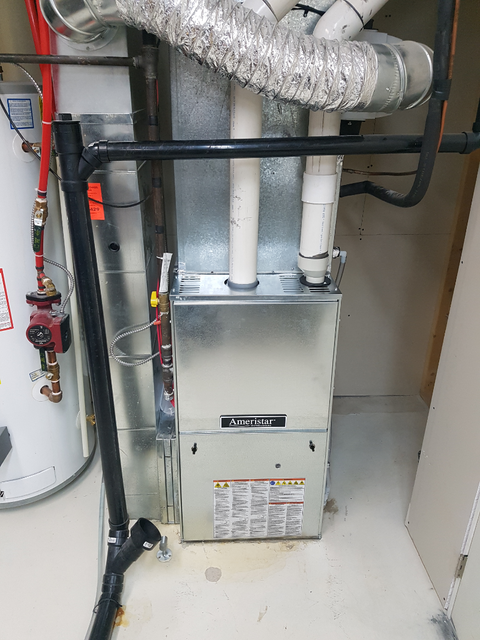 After going through several quotes for Ac units, we felt the best choice was Air Force heating. They offered us a great price on a Trane unit, which most companies were pushing the Goodman brand. The team at Air Force was great to work with, quick responses to all email inquiries, and the installation was pretty quick. The installation team was great and efficient, and took time to give me a run down on the unit. I’m ready for the summer heat now. Thank you for the work guys. Thank you for choosing Air Force Heating. From Ivan and the team!! 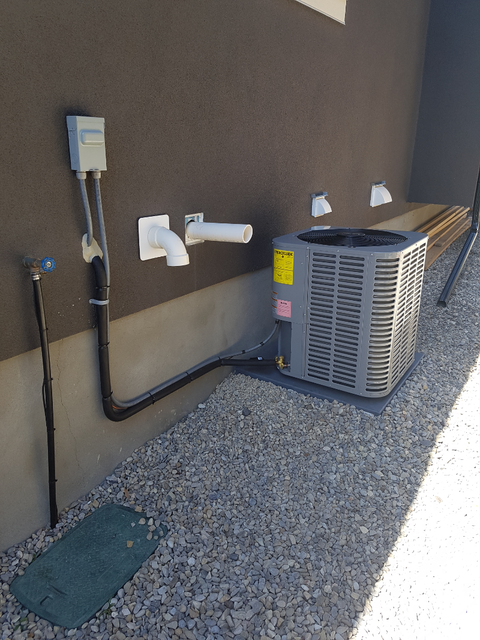 Air Force Heating and Air Conditioning is a family owned and operated company in Calgary, Alberta. 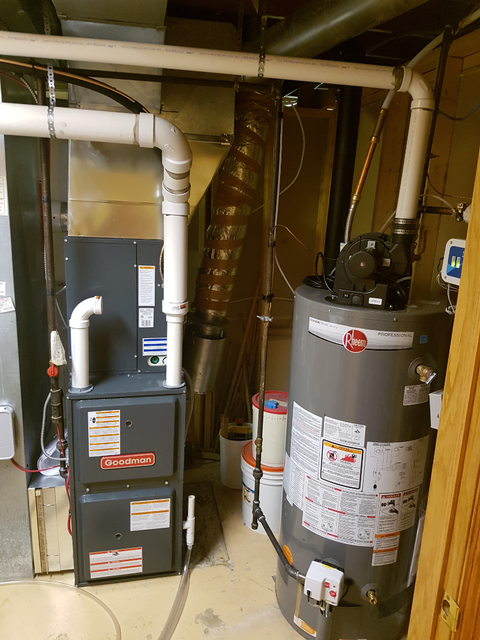 We have been serving Calgary since 2005 and have a good standing reputation for superior skills in heating, air conditioning, hot water tanks and indoor air quality systems. We are a family owned and operated business that strives for excellence in customer service and workmanship. Our company was created in 2005 and we have been successful due to great service and affordable pricing as we have no overhead costs like many other bigger companies. We do all our quotes ourselves as well as the installations, no salesperson as the middle man. We look forward to doing business with you in the near future. No matter when you need support we are there to provide reliable, fast and friendly service 7 days a week, 365 days a year in the Calgary area. We pride ourselves on customer service and have a dependable crew that truly cares about its customers. All of our technicians are all fully licensed and expertly trained. Our goal is 100% Customer Satisfaction! Still wondering why You Should Choose Air Force Heating and Air Conditioning? 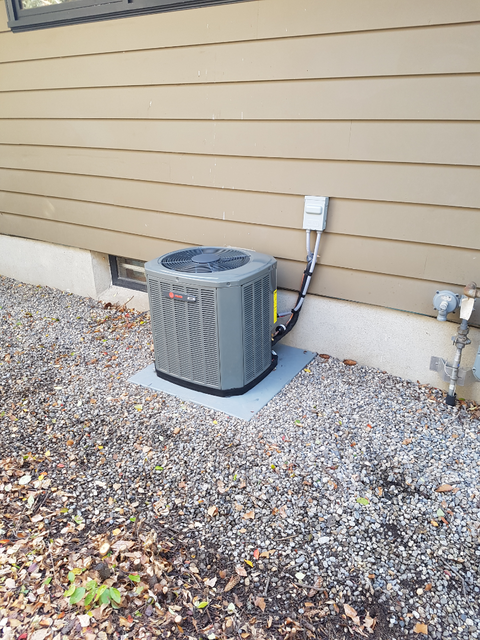 Extended Service Plans — A new furnace or central air conditioner automatically includes our extended service plans, we offer 5 year labor 10 year parts warranty.